Our association with Boxing, a sport which aptly exemplifies the attributes of power, agility and endurance is also manifested in our business operations. 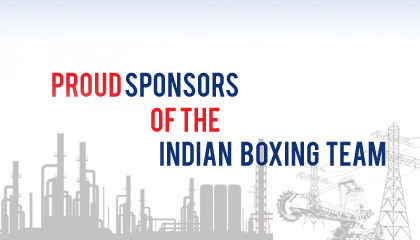 Monnet Group became the first corporate to associate with the Indian Boxing Federation (IBF) by being the official sponsors of the Indian Boxing team. Steps in the direction of taking this pursuit for excellence in boxing further, the Company intends to set up a world class Monnet Boxing Academy in the upcoming sports city at Raipur, Chhattisgarh to train amateur boxers to attain global glory.